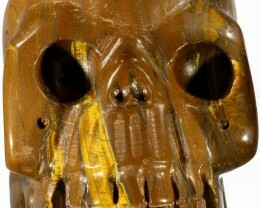 Tiger Eye Skulls. These skulls are popular when the colours of the gemstone flash or move. 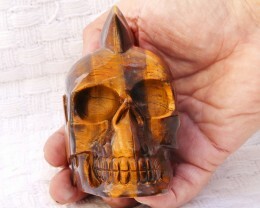 In images it is hard to view rolling flash tiger eye colors but when you walk by you can notice nice color combination in these Tiger Eye gemstone skulls.